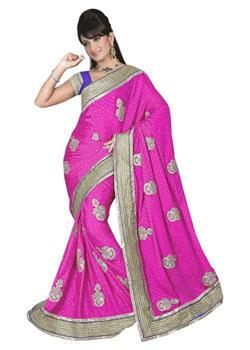 Gleaming plain purple saree finest choice for wedding or many other occasions where you want to center of attraction. 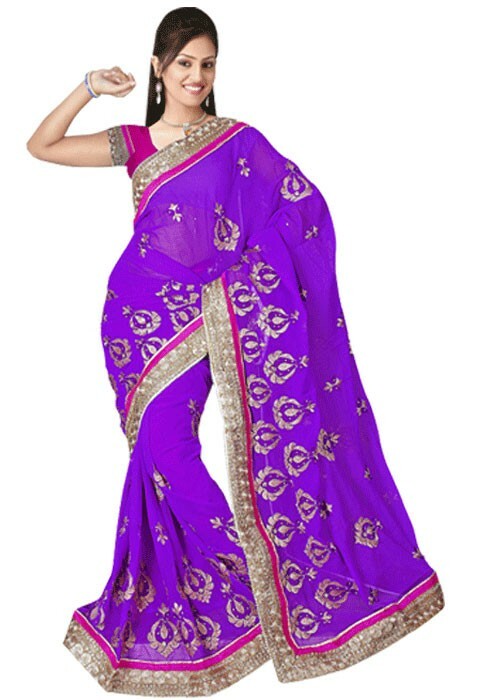 The lovely purple color with overwhelming golden border with kasab work present you rich look with conventional impact. 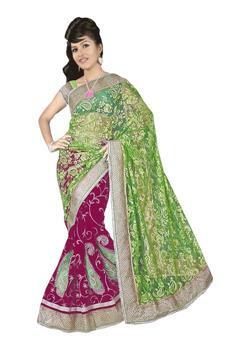 It is paired with free matching fabric for blouse.